Pig is a greedy pug dog. He has lots of toys, but won’t share any of them with Trevor, the little wiener dog. It is hard to say if Trevor is a neighbor or another member of the family. Either way, Pig isn’t about to let him play. The bouncy rhyming text will engage kindergarten readers as well as grade one independent readers to guess what might happen next. They will all be scared when Pig falls out the window, but might decide characters generally get what is coming to them. The humorous ending brings satisfaction and closure to the story. It also gives teachers, parents and librarians a chance to discuss with the children if Pig will act differently toward Trevor, and others, in the future. 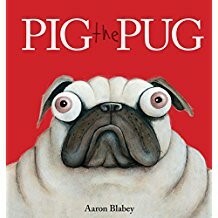 This will also, undoubtedly, make the children return to the library in search of the other books about this silly pug. 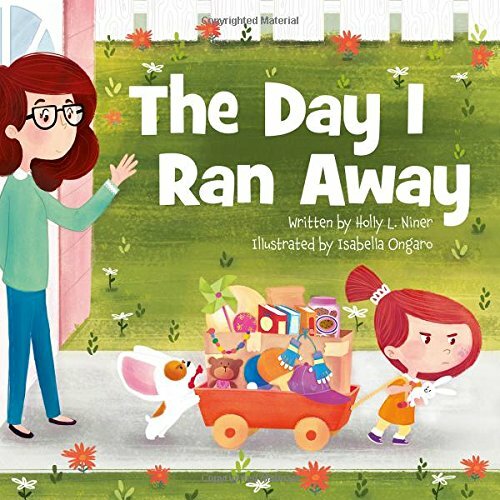 Funny books make the struggle of reading fun, too.